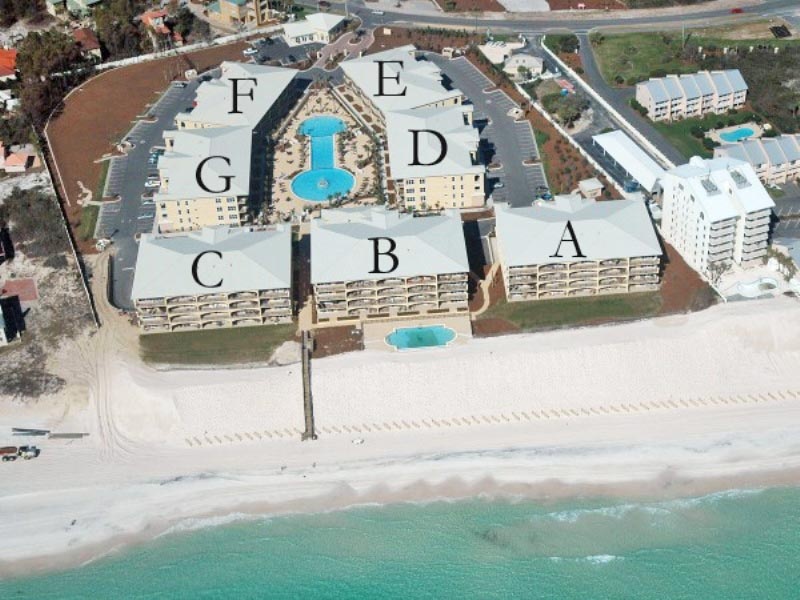 The beautiful Adagio G101 condo, a 30A vacation rental, awaits you and your family or friends for your next getaway to the South Walton beaches. Resting on the white sandy beach on one of the highest elevations along the Gulf Coast in Blue Mountain Beach, Adagio has so much to offer visitors. Located on the ground floor, Adagio 101G is recently updated, with brand-new painted walls and tile flooring throughout. A three bedroom condo, Adagio 101G is large and spacious with room for up to eight guests. Situated on a light-filled corner, this condo is beautifully decorated throughout. Find tile floors, plantation shutters and two Smart TVs inside. The fully equipped kitchen, outfitted with stainless steel appliances and granite countertops, makes preparing any meal a breeze. The master bedroom is host to a private bathroom with a whirlpool tub and walk-in shower. Meanwhile, the second bedroom and third bedrooms also host their own private bathroom. The kids will love the bunk beds tucked into an alcove in the hall. 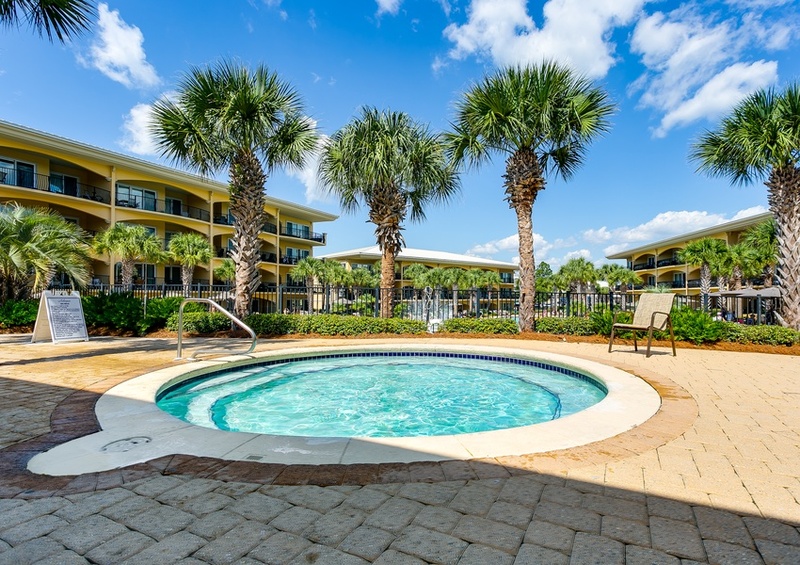 You’ll love relaxing on the pool-front patio while the kids splash in the pool. 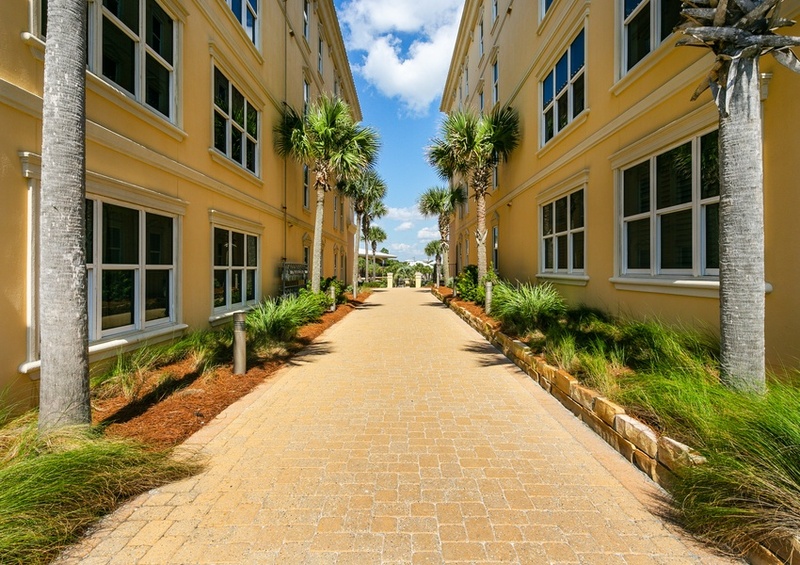 When you’re ready to head to the beach, the sandy shores are a mere minute walk away. Enjoy complimentary in-season beach service, including two chairs and one umbrella, during your stay. 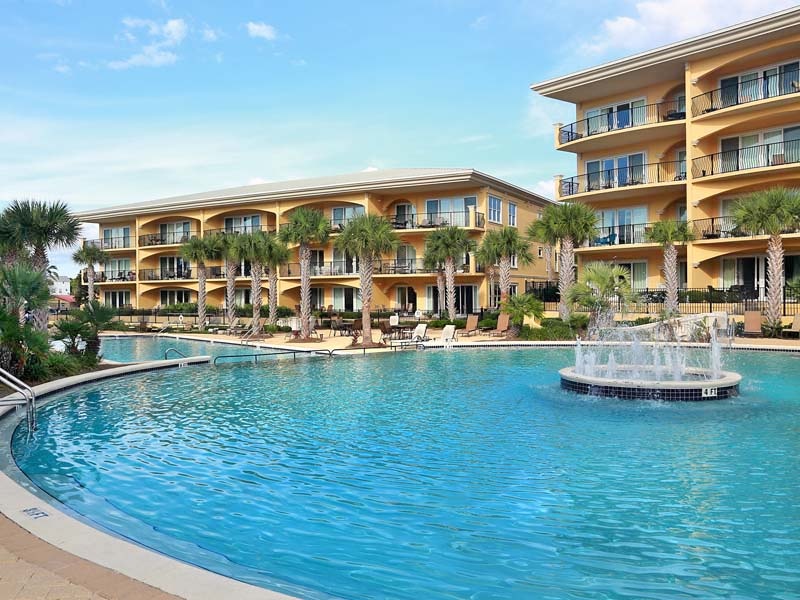 In addition, explore the amenities on-site which include the amazing beachfront pool and stunning multi-tiered center pool with fountains and waterfalls. 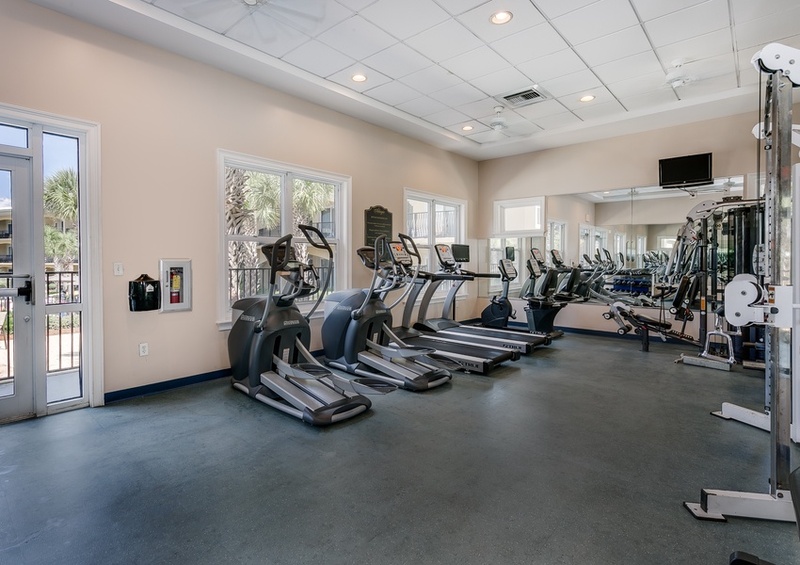 Get a little exercise in the community fitness room and then relax in one of our hot tubs or on the pool deck soaking in the Florida sunshine. The beach is just around the corner and offers days of fun, too. Our warm Gulf waters are inviting and provide an array of water sports options. Stand-up paddle boarding, kayaking, snorkeling and just floating along are just a few examples of ways to enjoy the Gulf. Don’t forget to try your hand at fishing or at least to enjoy the fresh catch at one of our local restaurants. The dining along scenic 30A is spectacular. 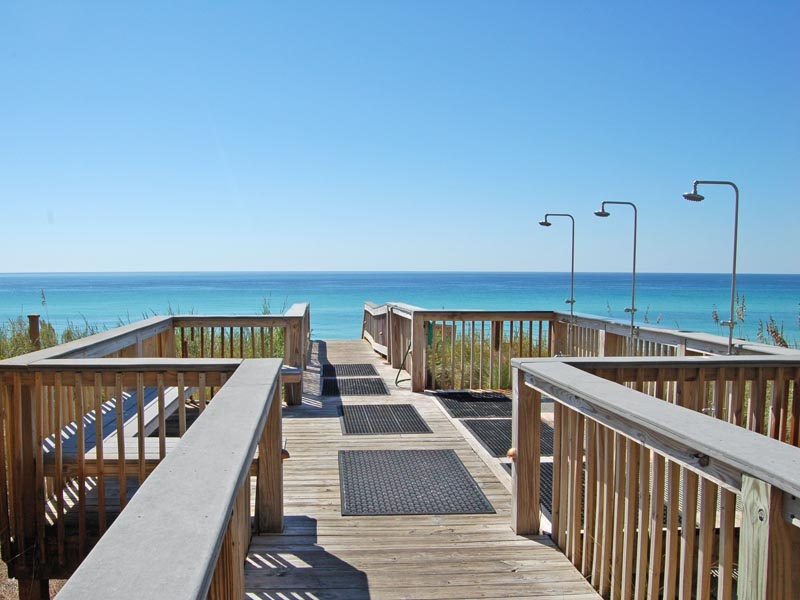 For more information on things to do, check out our Scenic 30A guide. 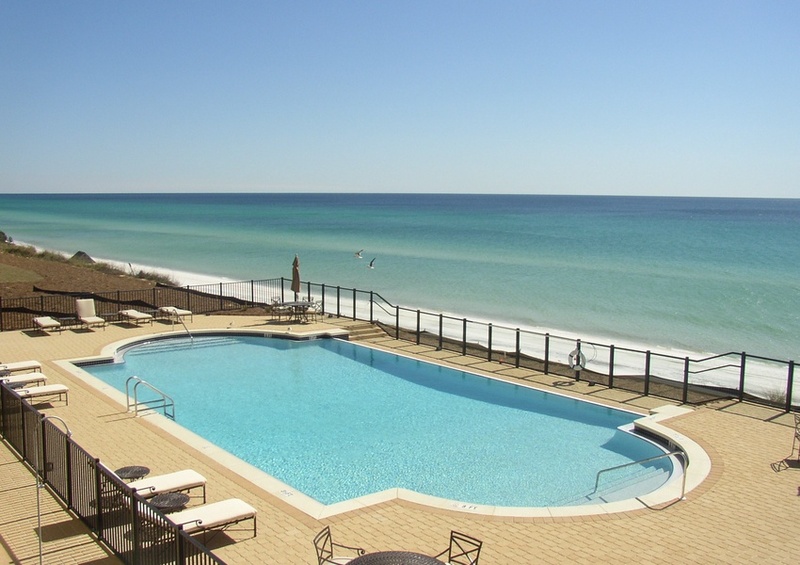 If you’re ready for a relaxing beach retreat, then reserve Adagio 101G with Southern today.